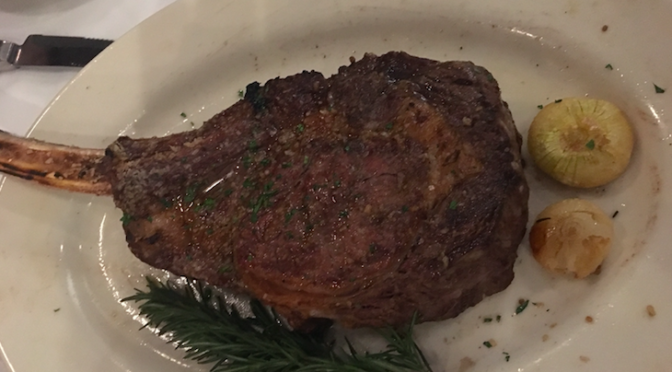 Our enormous (and tasty) rib eye. I wish I had a nickle for everyone who has ever told me: “what New Rochelle really needs is a good steakhouse.” Well, those wishes are now fulfilled, courtesy of Paul Hurley, a New York City restaurateur and New Rochelle resident, making his first business foray in our community with Hurley’s Steakhouse & Pub. 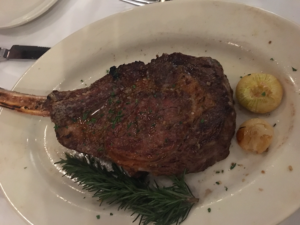 Located on Division Street, which is fast becoming New Rochelle’s restaurant row, Hurley’s looks really spectacular, with a distinct Manhattan vibe. Fine dining on one side, a lively bar on the other, and a fireplace in between. Perfect on a cold night. A really great addition to New Rochelle and a statement of confidence in our downtown’s future from an entrepreneur who knows his business well. Previous PostEnergize Your HomeNext PostSeason’s Greetings!